alienating you from your child? Are you and your ex still fighting over the kids even though the relationship has been over for months or even years? Still struggling with pick-ups and drop-offs? If yes, it’s time to get some help with co-parenting, help that can range from the use of a court-ordered parenting consultant to parent mediation. Each of these are important and helpful processes available to help you and your ex create a more effective co-parenting relationship. Parenting consulting is the process to use when the conflict is such that you and your co-parent need the decision making authority of a neutral, outside third party. The parenting consultant is given authority by the court to make binding decisions within a specified scope. 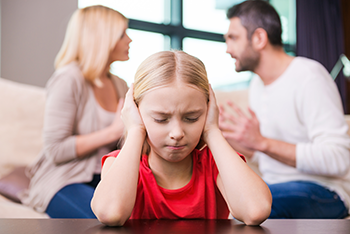 Parent mediation is a more informal process than parenting consulting, and can be a better, less expensive option when the co-parents have the capacity to “hash through” topics without getting completely stuck in the conflict. This process involves both co-parents meeting together on a short-term basis to resolve specific challenges. Reunification is needed when there is a significant skew toward a “favored” parent and away from the “targeted” parent. This process is a difficult and challenging one, and is most effective when there is a court order in place. Parent coaching is a one-on-one process to help one of the co-parents interact more effectively with their former partner. Parent coaching may be ordered by a parenting consultant when he/she has identified a need for the parent to get help with conflict resolution and/or co-parenting communication. For a list of my favorite resources related to working with co-parents, click here!